For more than 30 years, this vital policy has been implemented in the FAR by way of the “rule of two,” which requires Contracting Officers to set aside competitions for small businesses (or socioecononmic subcategories of small businesses, like SDVOSBs) under certain circumstances. In its current form, the rule of two under FAR 19.502-2 has two components, which are rather similar. [Each such acquisition] is automatically reserved exclusively for small business concerns and shall be set aside for small business unless the contracting officer determines there is not a reasonable expectation of obtaining offers from two or more responsible small business concerns that are competitive in terms of market prices, quality, and delivery. Responsibility, of course, is the question of whether an offeror is capable of performing a contract. As set forth in FAR Part 9, responsibility encompasses things such as whether the offeror has adequate financial resources, experience, operational controls, technical skill, facilities, and equipment. Because the rule of two only applies when two responsible offerors are likely to submit bids, Contracting Officers need not issue set-asides when they aren’t comfortable that they’ll receive at least two reasonably-priced offers from small businesses meeting these standards. Contracting Officers also have ways of avoiding the rule of two entirely. For instance, while small business set-asides are allowed under GSA Schedules, they aren’t required. 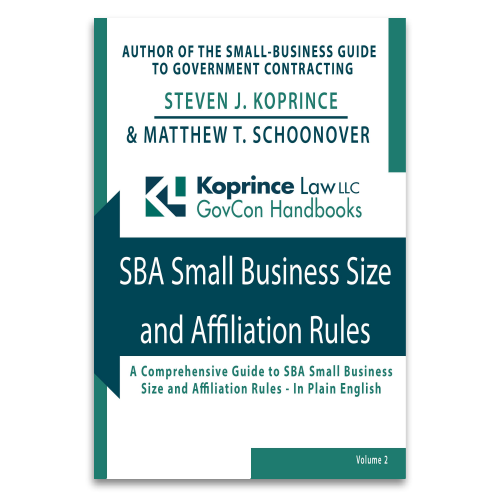 Unlike the VA’s separate SDVOSB rule of two, which was the subject of the Supreme Court’s famous Kingdomware case, a Contracting Officer need not apply the FAR’s small business rule of two before buying off the Schedule. Additionally, the GAO has held that Contracting Officers need not apply the rule of two when soliciting orders under unrestricted multiple-award contracts, like the Air Force’s large NETCENTS-2 vehicle. The bottom line? Under the FAR, small business set-asides are preferred no matter the dollar value, but Contracting Officers have a great deal of flexibility. If a particular Contracting Officer isn’t satisfied with the potential pool of small business offerors, he or she is unlikely to be forced to issue a set-aside solicitation. That brings us back to the Section 809 Panel’s shocking proposal. When I first heard of the Section 809 Panel, my immediate reaction was “uh-oh.” After all, the Panel touts its mission as “identifying ways to streamline and improve the defense acquisition system,” among other things. To me, “streamline” is one of those loaded terms (like “strategic sourcing,” “consolidation,” and “category management”) that never seem to work out too well for small businesses. If an organization views its mission as streamlining, there’s a pretty good chance that it will see a policy like the rule of two as red tape, rather than a fundamental building block of a broad and robust industrial base. Through its first two reports, the Section 809 Panel didn’t seem to be doing too badly when it came to small business recommendations. I was starting to hope that small contractors might make it through the Panel’s process without too much trouble. The third and final volume clocks in at a whopping 1,120 pages, not including a separate “Summary of Recommendations.” (I continue to be mildly amused by the irony of a “streamlining” panel putting out Tolstoy-length reports). All procurements below simplified acquisition threshold (SAT) are 100% set-aside for small business; rule of two still applies above the threshold. Set-asides and other small business programs incent [sic] small businesses to make extraordinary efforts to remain small. Setting-aside all procurements under a certain dollar threshold does not encourage a small business to grow beyond that threshold, especially if that business relies on competing for procurements that are currently set aside for small business. Outgrowing the size standard makes those businesses ineligible to compete for the same contracts that, in many cases, were critical to the success of the small business. As evidence of the “extraordinary efforts,” the Section 809 Panel cites . . . its own Volume I Report! That’s like me claiming to be the best-looking government contracts lawyer in the country, and citing an email I wrote to myself as proof. Using a price preference and requiring DoD to continue to meet the overarching small business use goal established by SBA will ensure the same amount of DoD dollars are invested in small business, while allowing capable small businesses to grow and compete for opportunities. Oh goody! A whopping five percent price preference! I’m sure that will make all the difference when I’m competing directly against Microsoft for that IT staffing project. If you’re something of an astute reader, you may have picked up on the fact that I’m not particularly wild about the proposal to replace small business set-asides with a five percent price preference. And by “not particularly wild,” I mean that this may be the single worst government contracting idea I’ve ever seen. First, the Section 809 Panel begins by misstating the current small business set-aside rules. No, Panel, not “all procurements” under the simplified acquisition threshold are 100% set-aside for small businesses. Likewise, the rule of two doesn’t apply to all procurements over the SAT. What about fair pricing? Responsibility? GSA Schedule contracts? Unrestricted IDIQs? Contracting Officer discretion? Nope, nope, nope, nope and nope. The Panel doesn’t mention any of it. The Section 809 Panel is composed of many smart, experienced people. They must know that the small business set-aside rules are nuanced. But instead of mentioning that nuance in the report, the Panel gives readers the impression that big, bad FAR 19.502-2 is grim and unyielding, regularly forcing beleaguered DoD Contracting Officers into ill-advised set-asides. Members of Congress are, by necessity, jacks of all trades. 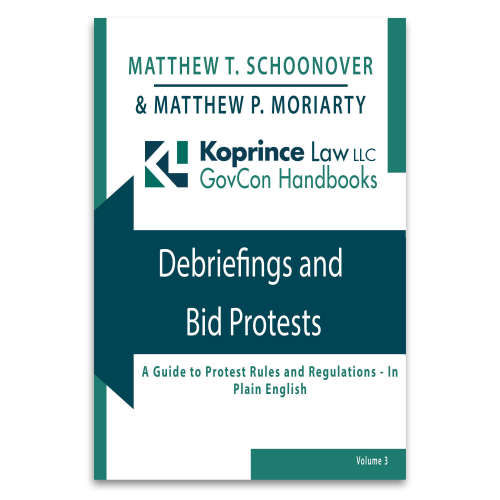 They don’t necessarily have the depth of knowledge about federal contracting to understand that the Panel’s statement of the set-aside law is incomplete at best. It’s quite possible that policymakers will read Volume III and come away thinking, “wow, every single procurement under the simplified acquisition threshold goes to small businesses, no matter what? That seems excessive!” And they’d be right, were that actually the way it worked. But it’s not. Second, the Section 809 Panel says that businesses make “extraordinary efforts” to remain small, and that offering set-asides doesn’t encourage growth beyond certain size standards. Now, there’s a nugget of truth here: while many contractors (including many of our firm’s clients) embrace growth above their small business size standards, some businesses do, indeed, choose to remain small rather than try their luck competing against Lockheed, Boeing and their ilk. But most of those businesses wouldn’t have grown close to the size standard in the first place were it not for set-asides. Sure, an IT company could run into trouble competing against Microsoft and Google, even after the IT company has exceeded the $27.5 million size standard under NAICS codes like 541511 (Custom Computer Programming Services). A company in that position might choose to remain small, or it might embrace its growth and prepare to compete against the big boys. But how would that company have fared against Google when the company was a $1 million or $2 million entity? It seems crazy that I have to say it, but set-asides help small businesses, by creating a special pool where those companies can grow and develop while avoiding direct competition against multi-billion dollar behemoths. If we eliminate set-asides, why would a $1 million company even attempt to enter the Government market? Notably, the Section 809 Panel doesn’t seem to have asked any actual small businesses or small business advocates about its plan. Are small businesses really clamoring for the elimination of those pesky set-asides? Do small businesses, or small business advocates like the SBA, really think that set-asides hurt small businesses? I can’t help but wonder if the reason the Section 809 Panel doesn’t seem to have asked is because the Panel already knows the answer. It’s unfortunate when businesses outgrow their size standards and can no longer compete for re-competes of contracts they’ve successfully performed, but eliminating set-asides isn’t the answer. Doing so will simply ensure that many businesses never get to this tipping point in the first place. Third, the proposal to replace set-asides with a five percent price preference is woefully inadequate to ensure that small businesses continue to receive a fair proportion of government contracts. To understand whether price preferences are sufficient to ensure that DoD meets its small business goals, we can simply look at the HUBZone Program. For years, HUBZone firms have been entitled to a 10 percent price preference when they compete against large firms. The HUBZone price preference works by requiring the Contracting Officer to pretend, for evaluation purposes, that the prices offered by large businesses are 10 percent higher. For example, if a large business proposes a price of $10 million, the agency would pretend that the price was $11 million. But if the agency awards the contract to the large business, the agency pays the “real” price: $10 million. In a lowest-price, technically-acceptable evaluation, the HUBZone price preference can make a difference. In the example above, if the solicitation was issued on an LPTA basis, and a technically acceptable HUBZone firm proposed a price of, say, $10.5 million, the HUBZone company would get the contract. In recent years, though, Congress has dramatically curtailed the use of lowest-price technically acceptable evaluation schemes, meaning that price is rarely going to be the sole deciding factor in a DoD acquisition. And in the context of a best value procurement, I can’t recall a single instance in my career in which the HUBZone price preference determined the outcome. Further, although many Contracting Officers support small businesses as a general principal, Contracting Officers (unsurprisingly) tend to care most about getting a project done right. Faced with a choice between, say, Google, on the one hand, and a smart, creative, tenacious, up-and-coming HUBZone firm on the other, how many Contracting Officers will simply opt for the “safe” choice and go with the brand name? Then there’s the math. If the HUBZone price preference was truly effective at ensuring that DoD met its HUBZone goals, one would expect that that the numbers would show it. But, like the Government as a whole, DoD has fallen way short. In Fiscal Year 2017, the DoD “achieved” just 1.56% for HUBZones, versus a 3% goal. Keep in mind that the 1.56% “achievement” occurred even though the FAR includes a 10 percent HUBZone price preference plus provisions allowing for HUBZone set-asides and sole source contracts. If DoD can barely reach half of its HUBZone goal given these tools, why on earth would anyone think that a five percent price preference, with no set-asides, would be enough to ensure achievement of the small business goals? By the way, DoD exceeded its 22% small business goal in FY 2017, but not by much, at 23.26%. More than three-quarters of DoD’s prime contracting dollars already go to large businesses. These numbers don’t exactly suggest that DoD Contracting Officers are struggling with the rule of two. And if DoD can only muster 23.26% now, is it really going to continue meeting its small business goal if we eliminate set-asides? Count me as skeptical. Riding a jetski over Niagra Falls is bold, but stupid. Same with trying to take selfies with wild elephants, or driving on a state highway in a golf cart towed by a garden hose. The Section 809 Panel’s ideas on small business set-asides may be bold, but that doesn’t make them good ideas. The Panel says, “these recommendations would achieve the goal of allowing DoD to behave the way buyers in the private sector behave.” But the Government isn’t the private sector. Unlike the private sector, which is narrowly responsible to its investors and customers, the Government has much broader obligations to the taxpayers and nation as a whole. Do we really want the Government to behave like a private company? A private company isn’t worried about growing a broad industrial base. A private company isn’t concerned about supporting the broader economy, expanding competition, or promoting any of the other important social and public policies that are part of the fabric of the nation. A private company isn’t subject to the same ethics rules: it may be perfectly fine, at a private company, if the CEO decides to award a subcontract to his golf buddy, or if a customer takes the entire Board of Directors on an Aspen ski trip to try to close the deal. Government should be different: different in its societal role, different in its priorities, different in the ethical standards to which it holds itself and its employees. While there’s nothing wrong with looking to the private sector for procurement ideas, there’s everything wrong with treating private industry as the gold standard, and Government as though it’s just another private buyer. Sorry, Panel, but the longstanding small business preferences set forth in the FAR aren’t “idiosyncrasies.” They’re the essential underpinning of a procurement system that is designed to do much more than merely copy the habits of for-profit businesses, regardless of whether those habits make sense when the buyer is the Government. The Section 809 Panel was convened by Congress, so there’s little doubt that the Panel’s recommendations will be taken seriously–and little doubt that many large contractors will seize the opportunity to push for, as the Panel puts it, “abandonment” of the small business programs. Small businesses better gear up for a fight. This entry was posted in Statutes and Regulations and tagged FAR 19.502-2, HUBZone goals, HUBZone price preference, lowest-price technically acceptable, responsibility, Section 809 Panel, Small Business Act, small business goals, small business set-asides. Bookmark the permalink.